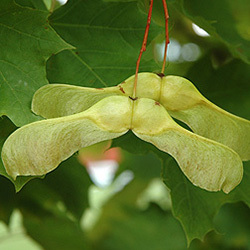 This non-native species of maple is no longer planted in Central Park. 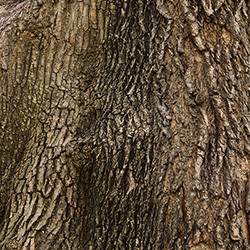 The Norway maple was imported to the United States in the 18th century and was planted widely in the 1930s in the wake of the destruction to the street trees of the Northeast wrought by Dutch elm disease. 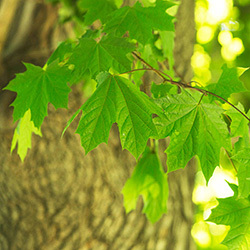 The leaves of a Norway maple yield a dense shade which inhibits the growth of other vegetation beneath its canopy. 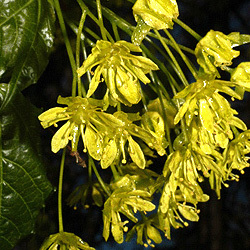 The Norway maple flowers with abandon and sends out enormous amounts of winged seeds (called samaras). 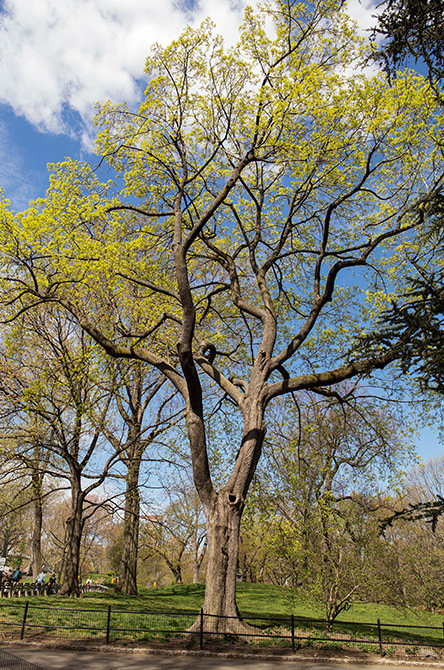 Central Park Conservancy gardeners pull up Norway maple seedlings when they are spotted, and yet it is still one of the most common trees in the Park. In spring the Norway maple may be spotted by its yellowish, nearly acid green flowers, and in fall by its distinctive yellow foliage.